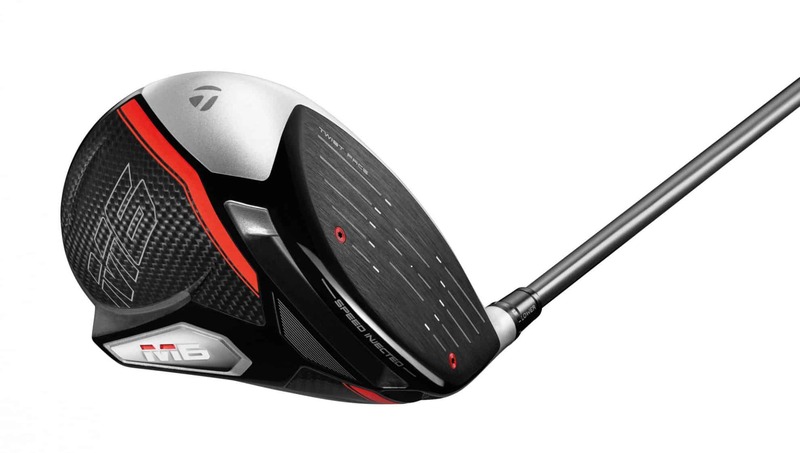 TaylorMade has been very clever with their latest M5 and M6 drivers. As many manufacturers try to work within the legal limits of COR (coefficient of restitution) set by the R&A and USGA to limit the amount of energy transferred from the club to the ball, TaylorMade has gone beyond the limit and dialled it back! Yes, that’s right. 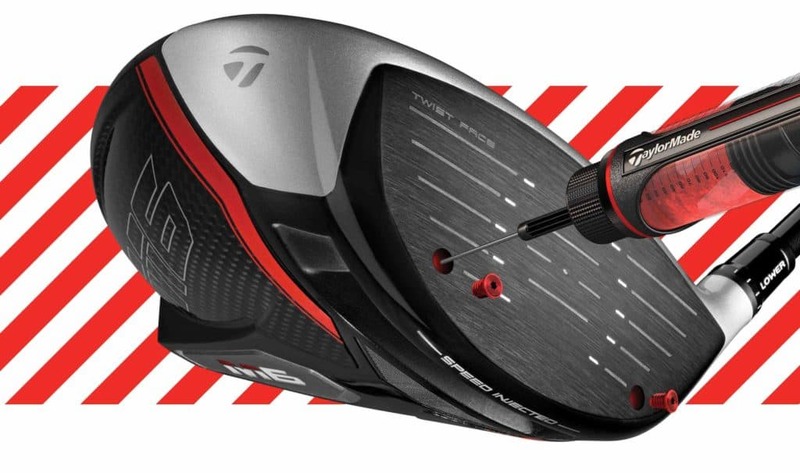 TaylorMade’s face on the M5 and M6 is illegal and above the 83% energy threshold level set by the governing bodies. Now this is the clever part. They inject the face in strategic points on the face with resin to dampen the energy effect, so each driver can be assessed individually to ensure it is bang on the 0.83 limit. After each head is tested a computer calculates the amount of resin required to reduce the COR so the energy release is consistent. 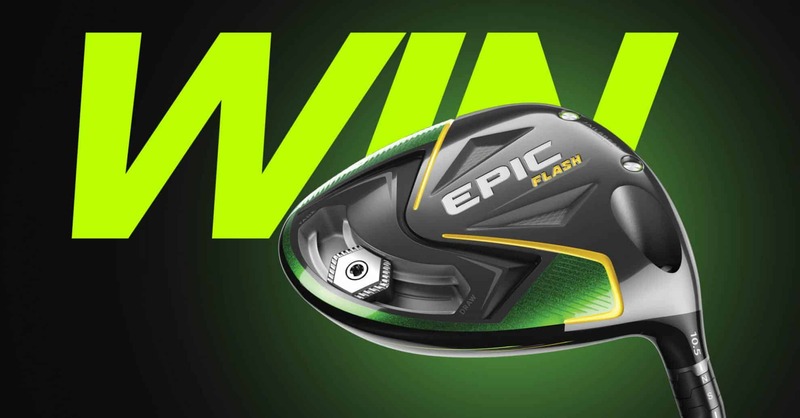 The days of getting a slightly faster driver with a ‘hot face’ are long gone, as these are all bang on the limit. So far we are seeing many of the Tour pros putting the M5 in play and replacing their previous M3 and M4 models. The Twist Face technology has remained in both models but a loft increase in the toe and less in the heel aims to give a more consistent spin on those mishits. 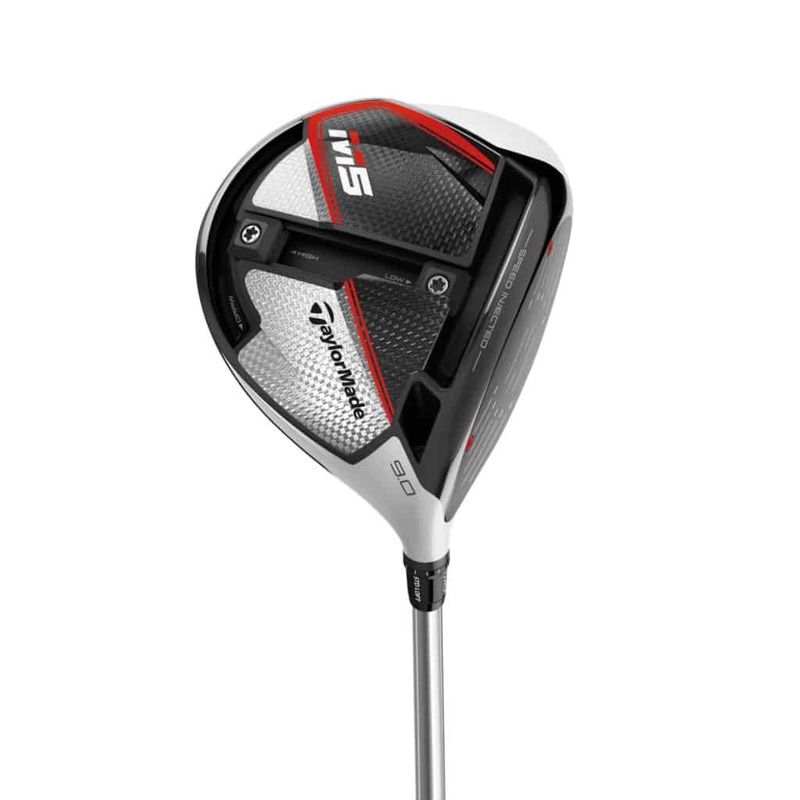 The M5 is the more adjustable of the two models and will appeal to the golfer that likes to tweak with the settings to optimise spin and launch. This is achieved through the Inverse T-Track, where two 10 gram weights can be positioned to optimise spin and trajectory. For players looking for more forgiveness, you can lower the centre of gravity with the two weights in the full back position or slide them all the way to the front to reduce unwanted spin. The M6 is engineered to balance forgiveness with speed. With a whopping 46g of weight positioned low and back in the head it takes forgiveness to a new level and you will get away with some mishits. 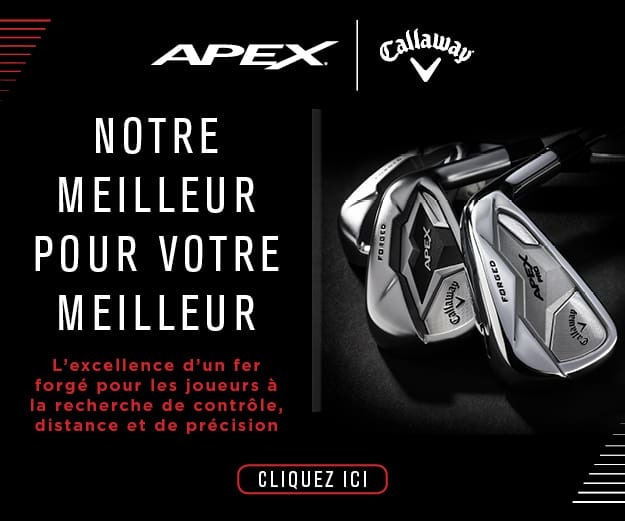 The M6 also comes in a draw bias model known as the D-Type, so if you are struggling with that unwanted fade and fail to middle the face until the later part of your round, this club would be an ideal starting point. The new, more efficient Inverse T-Track enables two 10g weights to be manoeuvred for optimal spin and trajectory The inverted design allows the weight to be positioned further back along the perimeter of the club, lowering the CG and increasing MOI/forgiveness. The new, more flexible Hammerhead slot works in conjunction with Speed Injected Twist Face to produce a larger sweet spot and preserve ball speed on off-centre strikes. 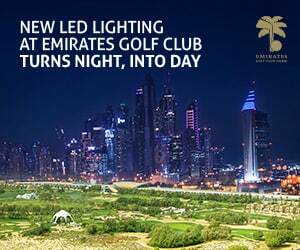 Every head is individually speed tested and injected with tuning resin to optimise COR across the entire face The Speed Injection process is designed to maximize ball speed and distance in theM5 & M6 driver achieving performance at or near the legal limit. The M5 comes with the Mitsubishi Tensei CK Orange 60 in flexes regular, stiff and extra stiff. Though if you are wanting to drop spin even further there is the Project X Hzrdus Smoke in a 68g stiff and an 80g extra stiff, both with a torque of 3.5. The M6 options come in three higher spinning 53g -55g Fujikura Atmos Orange 5 shaft and three lower spinning 65g -67g Fujikura Atmos Black 6 shafts. We’ve just received our demo models and will be putting them through their paces. So check out or social media channels for the videos, as we test everything from distance to dispersion and even how much the Inverse T-Track on the M5 actually affects the performance. As for looks, the increase in carbon might have given the clubs more flexibility to shift weight to boost forgiveness and speed but it has certainly enhanced the eye candy effect. At Worldwide Golf we love a bit of carbon on show. That dark weave just makes clubs look faster and more sinister. You can’t have a driver that looks sweet. It’s got to say “HAVE IT!” as you pull the head cover off and the M5 and M6 certainly says that.